At this time EE4 does not have an file upload feature. 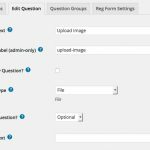 However, a third-party plugin developer has created a plugin to allow EE4 users the ability to create a file upload question type within the registration form question editor. 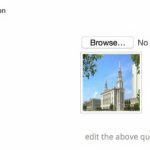 Files add on plugin allows to create file type question which can be used in event registration form. 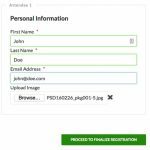 Attendees will be able to upload image files while registering for an event using this add-on.